1. The City of Oakland’s two largest unions — SEIU, Local 1021 and IFTPE, Local 21 — have scheduled strike-authorization votes for early next week in protest over Mayor Jean Quan’s budget proposal, which includes no pay increases. The Trib reports that the unions believe Quan and City Administrator Deanna Santana have greatly underestimated the city’s projected tax revenues for the next two years, as Oakland’s economy continues to rebound. The strike votes would give the unions more leverage at the bargaining table and would authorize leaders to call for a strike should negotiations with Quan’s administration fail to produce a deal. The unions last went on strike in 1946. 2. Northern California farms are struggling to keep up with the rising demand for rabbits for Bay Area restaurants, KPCC radio reports (via Rough & Tumble). An increasing number of area chefs are regularly putting rabbit dishes on their menus. 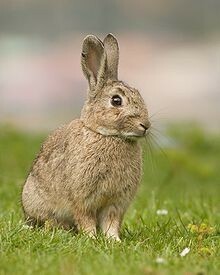 Industry insiders attribute the rising popularity of rabbit dishes at local eateries to the arrival of chefs trained in Europe where rabbit is a dietary staple. Rabbit meat is lean and high in Omega-3 oils. 3. Amazon.com plans to begin offering grocery-delivery services in the Bay Area later this year as part of an expanding project, Reuters reports. 4. The Bay Area will continue to be one of the lone bright spots in an otherwise sluggish economic recovery nationwide, the Trib reports, citing a new forecast from UCLA researchers. 5. And the FBI raided the Capitol offices of state Senator Ron Calderon of Southern California yesterday, the LA Times$ reports. The FBI would not divulge the reason for the raid, but the Times reports that it may have to do with a federal grant for a water project in LA involving Calderon’s brother.